Over 90% of potential clients look online first. Can they find you and what impression do they get when they do? Have you worked with other “web designers” and experienced any of these horror stories? A website that isn’t making you money or serving your visitors with valuable solutions. If any of the above sound familiar, get ready for a completely different experience. The problem with many so called “web designers” is that they typically don’t know the first thing about Internet marketing or Search Engine Optimization. Worse yet, many other web design firms lack the online sales and marketing expertise to develop a website that will increase traffic, improve conversions and help you stand out from the competition. We understand that your specific website design and development needs will vary depending on your type of business, industry, and range of products and services. Whether you operate a small business, manufacturing plant, non-profit organization, or provide professional services — quality marketing and effective digital services, like those offered by Prime Concepts, are the keys to the success of your business. Get the results you deserve from digital design and development professionals who don’t just talk about the Internet and e-commerce… they live it. Prime Concepts Group has developed high-quality websites for a variety of companies in a wide range of industries. We can create everything from fully customized eCommerce websites to WordPress™ Blog content management system (CMS) websites. We understand the proper use of multimedia elements to enhance the visitor’s experience without getting seduced by technology elements that get in the way of producing results. In addition to the custom websites we’ve designed and developed for our many clients, we also operate several corporate websites of our own and have sold millions of dollars worth of products and services online. 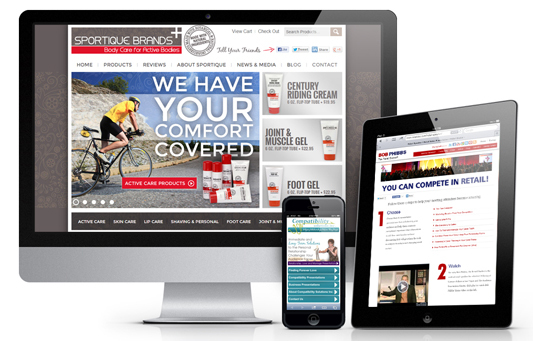 Prime Concepts can help you create an impressive website that produces positive results! We can't wait to evaluate where you are now and where you want to go! Give us a quick call at (316) 942-1111 to talk about the digital design and development solutions that are right for you.